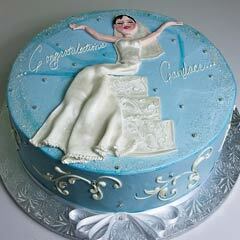 Bridal shower cake designs are usually a reflection of the bride's individual qualities. 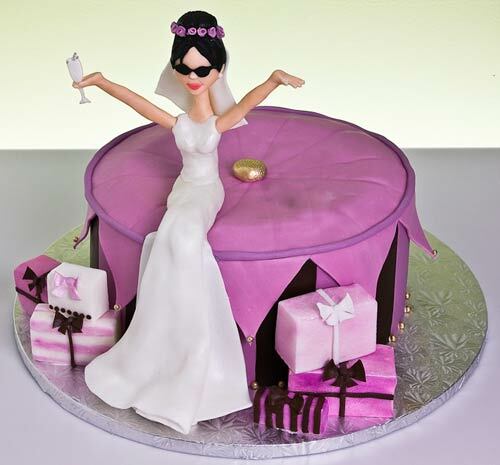 When seeking bridal shower cake ideas, keep in mind her interests, her favourite colours, and perhaps any goals or dreams she may have. 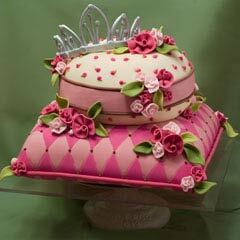 The bridal shower cake also pays homage to the general fabulosity of the entire bridal experience. 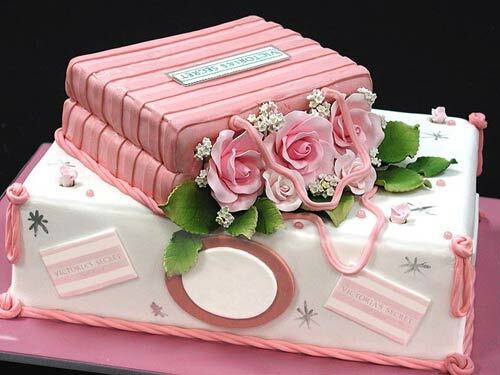 The size of the cake will depend on the amount of guests at the shower, though the complexity of the bridal shower cake decorations may depend on the budget allocated, as well as the imagination of the person conducting the shower. 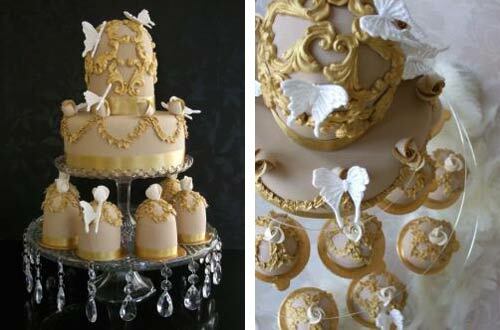 Yet, because the bridal shower is synonomous with bridal shower games, and showering the bride with gifts; it is also natural that bridal shower cakes are also a little more playful in tone than traditional wedding cakes. 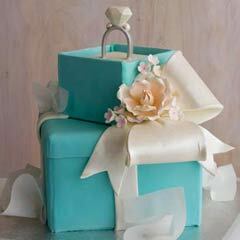 For your interest, we're included bridal shower favor ideas for those of you helping out with the planning. The following bridal shower cake pictures may serve as inspiration for those participating in a llighter hearted look at the central wedding theme or the bride herself. 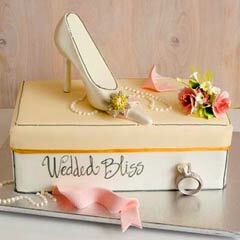 Whatever your bridal shower cake ideas, make sure you have some fun.